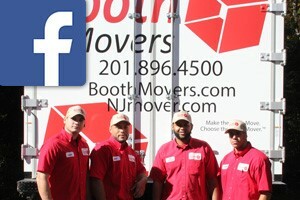 Planning a long distance move can be a daunting process, so the experts at Booth Movers are here to help! As the premier New Jersey long distance moving company, Booth is committed to providing the highest level customer service throughout your move. As a Bruce Cooper Lifetime Achievement Award recipient and an active member of both the New Jersey Warehousemen & Movers Association and American Moving & Storage Association, our team of New Jersey long distance movers has the experience and expertise to handle any relocation. Customer service has been the cornerstone of Booth Movers since our founding over 70 years ago, and that commitment to quality shines through in all of our Bergen County long distance moving services. To begin the process, one of our experienced moving specialists will come to your home and provide you with a free, written estimate of your moving costs. To help make your long distance move in New Jersey a seamless process, our affiliation with Atlas Van Lines provides you with a nationwide network of moving and storage professionals that will work with you every step of the way. Whether you are moving a small apartment or large family estate, Booth Movers can take the stress out of your moving process! With highly trained employees and state-of-the-art equipment, you can rest assured that your next relocation will exceed your expectations. Household Moving – We have helped thousands of customers in New Jersey and beyond with our customizable residential relocation services. Senior Moving – With a strong emphasis on care and compassion, our New Jersey long distance movers are the premier choice for relocating your elderly loved ones. Apartment Moving – Small spaces and flights of stairs are no issue for the experienced team at Booth Movers! Full Service Moving – From custom packing to furniture disassembly, we offer the best in comprehensive full-service moving packages. Give us a call today to learn more about the moving and storage solutions that our professional New Jersey long distance moving company offers! You can also fill out our simple online form to request your free moving estimate! We used Booth movers for our recent move. Oscar and Walter were our movers. They were early, professional and moved quickly. Everything got into our house in great condition! Nothing broken or scratched. Would definitely recommend!